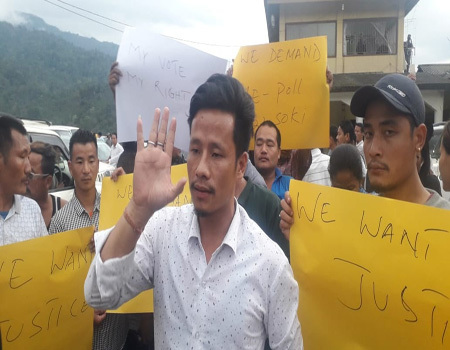 POBDI, Feb 2: Chief Minister Pema Khandu blamed the previous state government for the delay in construction of the Potin to Pangin stretch of the national highway. 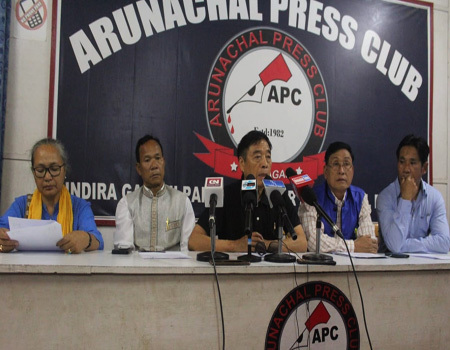 “The people must realize that the delay in the execution of the Potin-Pangin road is not due to any lapse from the Centre but from the state government,” Pema said after launching the third leg of the ‘Arunachal Rising’ campaign at Pobdi village in West Siang district on Saturday. He said the work had been allotted in 2012 without following any proper norms, and that the land acquisition process was completed. “Now, under my leadership, the entire process of project execution is being overhauled,” the chief minister said. He informed that the Centre has sanctioned funds for the project in three packages, saying the tender for the purpose would be floated by 9 February. 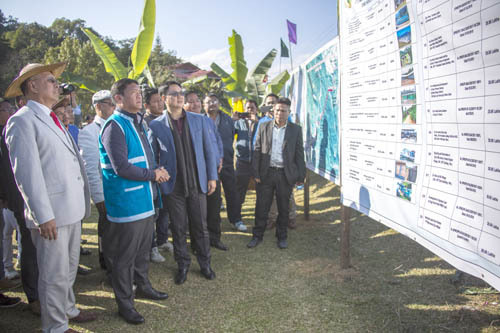 Speaking on development issues of the area, the CM said a separate airport for the Siang belt would soon be worked out, and promised to create a central divisional commissioner’s office in 2019. “The road from the Aalo DRDA office to Darka of Rs 10 crore has received immediate approval at RE stage,” he said, adding that, while science stream has been introduced in Donyi Polo Government College, Kamki, postgraduate courses would also start there from this year. Responding to a public memorandum, Pema assured to provide fund for construction of a 60-bedded hostel for the secondary school here. He asked the district administration to immediately submit the estimate. The chief minister, who dedicated the all-weather road from the Nyorak PMGSY road to Kodum-Nikte CO HQ and the two-lane road from Nigmoi to Aalo to the people on Saturday, said several big connectivity projects under central schemes are being launched in the state. He said Rs 440 crore worth PMGSY projects are being executed in the state, and that once the fund is used, another Rs 600 crore would be sanctioned immediately. “All the salaried people working under the state or central government are servants of the public, with the chief minister being the mukhya sevak,” Pema said. He said the earlier mindset of government officers and elected representatives, revering themselves as the masters of the people, must be done away with. “We all are in our respective positions to serve the public and not to take benefit out of them or in their name,” Pema said.